A 9-point risk assessment for PWID requiring intravenous antibiotics may allow health systems to focus resources on those at greatest risk of ongoing IVDU. 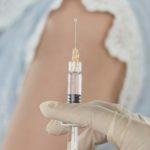 A 9-point risk assessment, developed by an Intravenous Antibiotics and Addiction Team (IVAT), identified persons with a history of injection drug use safe for discharge and reduced the mean length of hospital stay by 20 days and total direct cost by 33%, creating capacity for an additional 333 patients, according to a study published in Clinical Infectious Diseases. Acute infections, including bloodstream infections, infective endocarditis, and skin and soft tissue infections, are common among persons who inject drugs (PWID) and are associated with hospital length of stay, readmissions, and increasing healthcare costs. Understanding the resources needed for optimal management of acute infections is essential to develop policy and best care practices for PWID. Hospitalization of PWID presents opportunities to address both addiction and infection. After implementing the IVAT recommendations, developed by the study authors, for multidisciplinary care of PWID in 2016, an assessment showed that IVAT reduced length of hospital stay (P =.001) without increasing 30-day readmissions (P =.27). The study also analyzed the cost of care for PWID before and after IVAT from the perspective of the health system. Participants at the University of Alabama at Birmingham Hospital were included and received IVAT consultation if they met the following criteria: hospital admission, history of intravenous/injection drug use, and indication for prolonged IV antibiotics. The 9-point assessment was developed to query cravings, home environment, dual psychiatric diagnoses, history of overdose, relapse, trauma, use of multiple drugs, family history of addiction, and willingness to change. Results from this assessment allowed consultants to make recommendations. Low-risk patients (1-3 points) were discharged for the duration of antibiotics, whereas medium-risk (4-6 points) and high-risk (7-9 points) patients were treated as inpatients. In the economic assessment, data collection time was extended to 14 months post-IVAT implementation. To quantify costs, subsequent admissions by the same patient were excluded. Costs were defined as direct costs per encounter, obtained by querying financial accounts. The mean length of stay was 42 days pre-IVAT and 22 days post-IVAT. Direct costs per admission in the post-IVAT period were 33% lower than in the pre-IVAT period ($26,014 vs $38,716). However, overall inpatient costs per day were greater in in the post-IVAT period; costs were $922 per day per admission and $1182 per day per admission in the pre- and post-IVAT periods, respectively. The mean length of hospital stay at the University of Alabama at Birmingham was 6.58 days. A 20-day reduction in mean length of hospital stay in the post-IVAT period translates to an average of 3 additional inpatient encounters, which translates to a net gain of 333 additional inpatient encounters in the post-IVAT period, and the reduced mean length of hospital stay creates a capacity for 333 other patients. Alternatively, without IVAT, the mean length of hospital stay would remain 20 days longer for the 111 patients receiving care in the postintervention period, resulting in an additional 2220 patient days. Subanalyses showed that median cost and length of hospital stay according to primary diagnosis declined in the post-IVAT period for all bacterial infections, including endocarditis. Conversely, patients with bone and joint infections showed the greatest reduction in length of hospital stay, which declined by a median of 38.5 days.